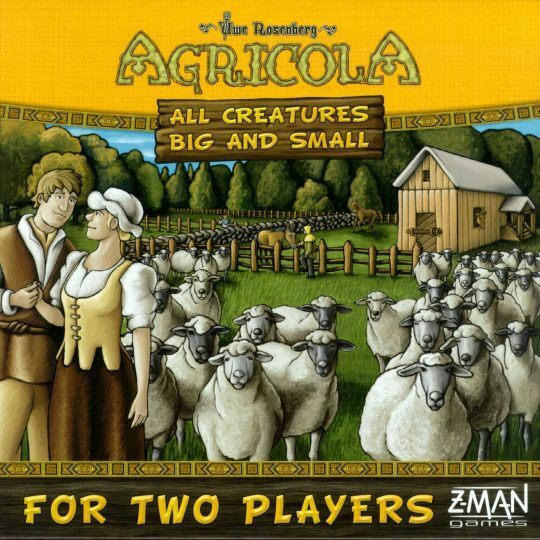 In Agricola: All Creatures Big and Small, you become an animal breeder of horses, cows, sheep and pigs and try to make the most of your pastures. Players start with a 3×2 game board that can be expanded during play to give more room for players to grow and animals to run free. Sixteen possible actions are available for players to take, with each player taking three actions total in each of the eight rounds.